Founded in 2011 by Rob Martin, CrossFit Mallorca was the first box on the island. Since then we have gone from strength to strength. We are now in our fully equipped 550 sq metre space on the Son Bugadelles estate in Santa Ponsa on the South West coast of Mallorca. Between them our coaches speak many languages primarily English, Spanish and German. Our rates are €20 for a single class, or €60 for weekly membership. Our coaches are excellent trainers getting fantastic results with their clients and our CFM members. Several of them are also CrossFit competitors and champions in their own rights who compete in national and international meets. 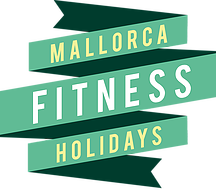 Whether you are an experienced CrossFitter looking for a new box, coming to Mallorca on holiday, or are new to CrossFit we have a wide range of membership packages available, please contact us if you have any questions.